From today's EMiniPlayer.net Trade Plan: Yesterday's Review/Analysis post mentioned that Buyers were in Control above 1383.25-1385.25. Overnight, ES pulled back and found Responsive Buyers ahead of that area, and the Overnight Low ended up at 1386 before Buyers pushed ES to a new weekly high. Heading into the day session, we have Initial Resistance at 1403.25-1405.25, followed by 1407.25-1409.25 (NVPOC 1408, Open Gap 1408.75). 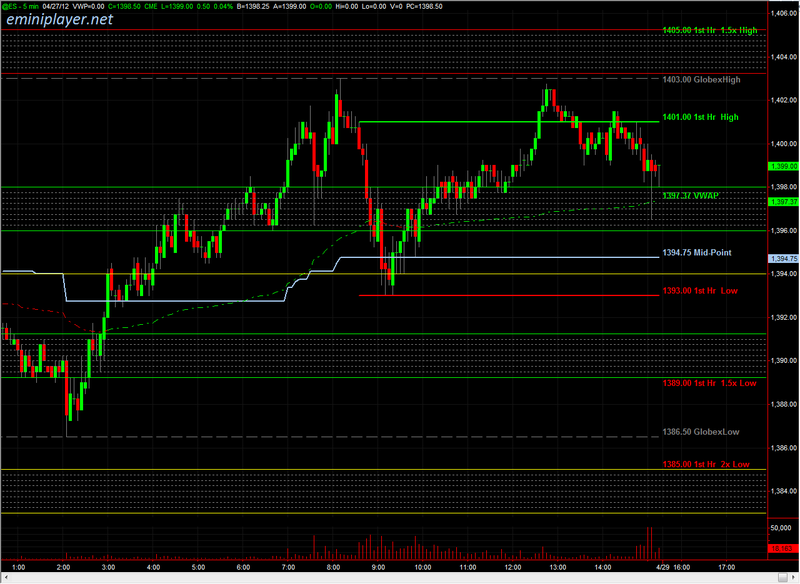 ES is set to open above Value, and I'm expecting more edge at the Resistance Zones with the 1407.25-1409.25 Resistance Zone capping the upside. 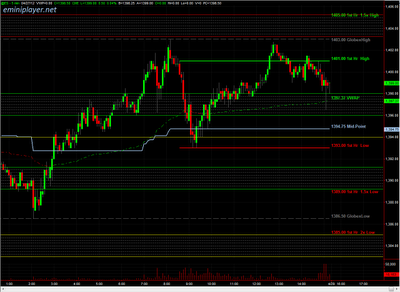 On the downside, our target is the 1396-1398 Pre-Market Support Zone. I expect Responsive Buyers at the Support Zones. The primary economic catalyst today is Consumer Sentiment at 8:55 AM (CT). Bigger picture, Buyers remain in Control above the 1383-1385 Bull/Bear Zone.